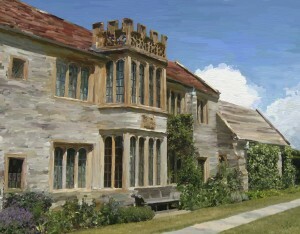 Painted, this time from the East, a great view of Lytes Cary Manor. 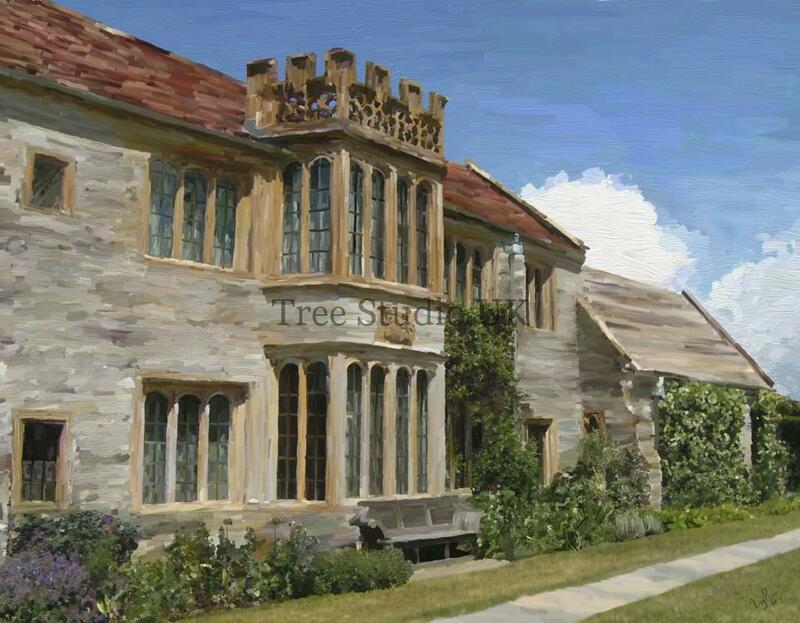 This one looking back to where I painted the manor first time. At the right is the Chapel with its gothic mullioned window. Manicured lawns stretch away to the North with large box cut domes lining the pathway. Looking to the North gives a view of the Dovecote set in the middle of the pasture. 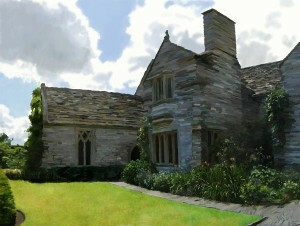 Lytes Cary Manor is a medieval house with it’s own chapel, seen here at the right of the picture. A remarkable building and garden in rural Somerset. The house was lived in by Henry Lyte, where he translated the unique Niewe Herball. Feeling the responsibility of their position in society they would allow the less fortunate to benefit from the leftovers. When food remained after meals it could left to others. Wooden rollers placed vertically like the bars of a prison allowed for an arm to reach through. The width of the gap and what you could hold in your hand determined the amount of food you could take.